The Plant Dormancy Network involves collaboration with Universities and the most prestigious international research centres to more fully understand dormancy and to stimulate debate on this important issue within international forums. Particularly useful in the study of dormancy and the genes that regulate it, the Next Generation Sequencinghas been developed by the prestigious collaboration of Valagro with NSure, a research institute at the Dutch University of Wageningen, and leader in advanced technologies for data collection and sequencing in plants. Thanks to this innovative technology for gene sequencing it is possible to achieve a real-time map of the genes of any plant at any one time and to acquire massive amounts of highly accurate data in just 2 weeks, with an enormous saving in time and costs. Allowing to detect gene activation - even for those crops whose genome has not yet been sequenced - Next Generation Sequencing is particularly effective for understanding better the action of biostimulants on the plant such as Erger®, particularly when applied during the dormancy phase. Plants are subjected to environmental conditions; this is why they alternate between periods of growth, when the environmental conditions are favourable, and periods when their metabolic activity almost comes to a standstill when weather conditions become unfavourable. Dormancy can be defined as the temporary suspension of visible growth of any plant structure containing a meristem (tissue containing cells that divide and multiply). In areas where there was obtained the necessary requirements of cold, for example due to an excessively mild winter season, the application of Erger allows the plant to start however the metabolic processes that lead to the interruption of dormancy. Thanks to Geapower technology, Valagro has developed GEA342, an innovative process that has allowed us to improve the product formulation, enhancing the effectiveness on activation of metabolic processes related to the plants output from dormancy. Thanks to its formulation, Erger is particularly effective in deciduous fruit trees, especially table grapes and cherry. In addition, the product is enriched with calcium and nitrogen (in the form nitric, ammonia and ureic). Due to Erger’s features, indicated crops and instructions for use vary according to the country and, within the same country, they may vary according to the area. 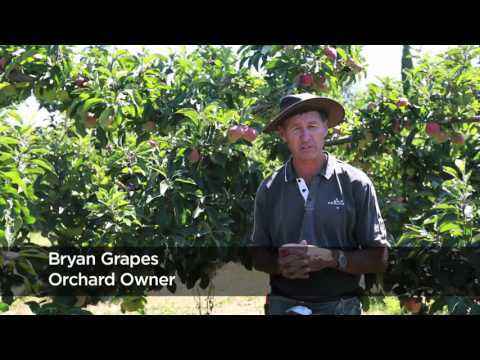 Cherries and table grapes are currently the crops indicated in the label for all markets. For other crops, dormancy breaking solutions can differ according to the area. Moreover, each cultivar within the same species has its own threshold. 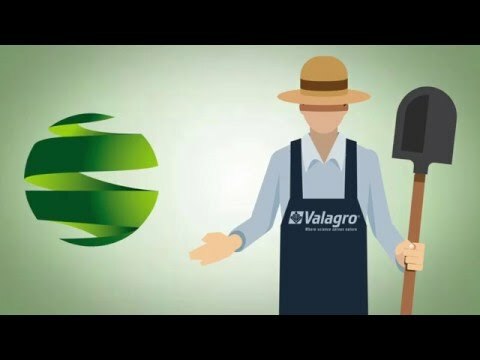 For these reasons, it is important to always read the local label or contact Valagro’s technical support before using Erger. Trend of the endogenous biochemical processes during the evolution of the dormancy. Plants prepare to overcome adverse weather conditions before their onset thanks to their sensitive perception system. Environmental factors that influence bud activity include temperature, photoperiod (daylight hours), amount of light, nutrient availability, and internal factors specific to species and varieties. When the conditions are favourable for bud dormancy (short days and low temperature), leaves begin their senescence process leading to cell death preceded by the synthesis of inhibitors, which are transferred to the buds, thereby bringing their metabolic activity to a standstill. These inhibitors – responsible for the induction and maintenance of bud dormancy – include substances, such as abscisic acid and naringenin. On the other hand, during the opposite awakening process, there is an increase in promoters, in particular auxins, cytokinins and gibberellins, in addition to changes in enzymatic systems, levels of DNA and RNA, membrane permeability, and tissue hydration. In mild climates, most deciduous fruit trees reach maximum dormancy just before they lose their leaves. During the winter, the ratio between these compounds slowly changes. By the time it’s spring, when buds open up, the inhibitors have disappeared, while hormone and enzyme promoters have increased in number. In dormant buds, the respiratory activity decreases until reaching a minimum, which corresponds to a stage of slower cell activity; then, it starts growing in intensity again until budding and anthesis (blooming). From a biochemical point of view, the quiescence stage is accompanied by a progressive accumulation of enzymes (cellulases, pectinases) and starch, following a decrease in the amylase hydrolysis rate. On the other hand, the end of the dormancy period is characterised by a decrease in starch content, which is hydrolised into soluble carbohydrates. Even nitrogen compounds undergo such accumulation and remobilisation at the beginning and at the end of the dormancy period, respectively. In winter, buds undergo both the removal of inhibitors and the production of promoters (gibberellins, cytokinins, and auxins). Therefore, the cold season is not just a waiting period, but a stage during which metabolic processes occur, enabling buds to resume their growth. Buds come out of dormancy following a certain period of exposure to low temperature, i.e. once their “chilling requirement” has been satisfied. Dormancy begins with paradormancy and it accentuates during endodormancy. As it declines during the s-endodormancy the buds become progressively more sensitive to the bud breaker. The intensity and duration of the ecodormancy depend on the environmental conditions. Paradormancy: last stage of bud differentiation. Reversible stage of dormancy. Endodormancy: lack of metabolic activity in the plant, can be identified as: d-endodormancy (irreversible stage), s-endodormancy (reversible stage). Ecodormancy: first stages of the activation of the metabolism of the reversible type and influenced by environmental conditions. In plants, the perception of cold works as a clock that indicates the duration of said metabolic processes. Various methods to evaluate bud dormancy have been developed over the years. The chilling requirement is generally quantified by the number of hours at a temperature below 7 °C (Weinberger method), although other, more articulate (such as the Utah method) and dynamic methods (e.g. the Fishman model) assess the temperature within a different range. The chilling requirement varies greatly from species to species. Peach and apple trees have higher chilling requirements, whereas almond, citrus fruit, olive, fig, quince, and pomegranate trees, as well as tropical and subtropical species, have very low chilling requirements. If the winter season is not long or cold enough to allow a complete rest release,buds will continue their dormancy; this, however, can lead to a series of anomalies, such as “delayed foliation” or “extended rest”. 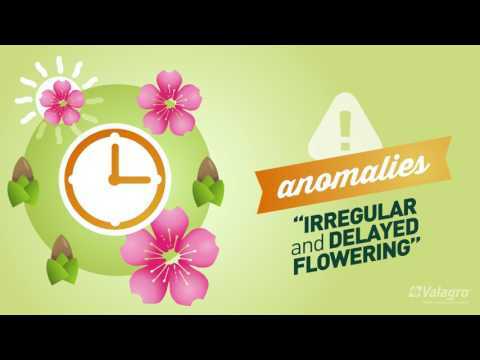 These phenomena can affect every aspect of a plant’s growth cycle. The intensity of the symptoms is directly proportional to the amount of chilling that is lacking. In vegetative organs, lateral buds may fail to unfold and/or there may be a delayed and more gradual germination. As a result, only the apical shoot will develop, while there will be a poor development of the lateral branches. Delayed foliation also leads to the premature depletion of nutrients, increasing the risk of early fruit drop. Failure to satisfy the chilling requirement can also cause flower buds to drop and other anomalies (double pistils, ovary abortion, small and deformed flowers, reduced pollen production, low fertility, reduced fruit set). Other frequent consequences include delayed, more gradual, and excessively long blooming, followed by delayed and more gradual fruit ripening. Production is poorer with smaller and often deformed fruits. Failure to satisfy the chilling requirement also leads to pollination problems due to the blooming phase shift in species and cultivars requiring cross-pollination (cherry, almond, kiwi, apple, plum, and pear trees). In mild winter areas (Israel, Florida, Sicily, etc.) varieties with a high chilling requirement bloom later than those with lower requirements. Vegetative resumption is accompanied by the degradation of starch – the main nutrient reserve for several types of plants – induced by the resumption of respiratory activities. Failure to satisfy the chilling requirement does not always guarantee the prompt mobilisation of nutrient reserves, thereby causing a more gradual and uneven germination and bud break. With the direct administration of monosaccharides and polysaccharides contained in Erger during vegetative resumption, the plant will increase its respiration rates and energy levels, even in the event of unfavourable weather conditions. The presence of calcium in Erger’s formula helps increase the degradation of starch reserves, which activates vegetative resumption and boosts the activity of energy-producing enzymes. 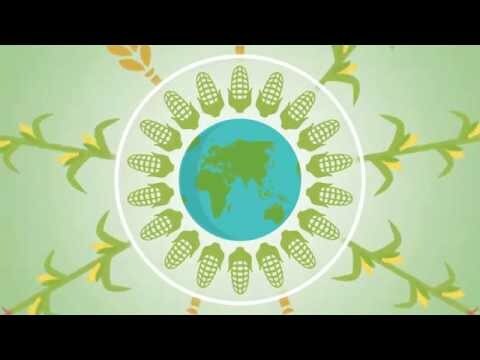 Nitrogen is the fourth most abundant element in plants, after carbon, oxygen and hydrogen. The nitric, ammoniacal, and ureic nitrogen in Erger’s formula boost the activation of nitrogen metabolism, which starts the early bud breaking process and their evenness. Gibberellins are terpene compounds produced by superior fungi and plants. They promote bud growth during vegetative resumption. Erger contains diterpenes, which increase the levels of gibberellins in plant tissues, thereby boosting vegetative shoot apex growth. Erger accelerates all the metabolic processes that plants undergo during the chilling hours to anticipate dormancy breaking and bud break. Applying Erger evenly on the entire plant provides all the buds with the metabolites required to overcome dormancy. This allows buds to unfold evenly both along the branches and along the height of the plants. Not all buds can produce inflorescences. In table grapes, for example, the actual bud fertility – i.e. the ratio between the number of inflorescences and that of shoots – increases with the decrease of the latter. Erger provides blind buds with a surplus of metabolites, thereby boosting fertility and bud breaking. Nowadays, early ripening is the only solution to get better prices. Applying Erger to break dormancy results in an early vegetative-production cycle, which continues until harvest. Applying Erger results in even bud break, thereby promoting even ripening both on individual branches and on the plant, thereby reducing harvesting costs. Erger promotes early dormancy breaking, thereby allowing fruits to undergo a longer ripening cycle. This benefits their growth, colouration, and overall quality. Moreover, Erger triggers the opening of otherwise dormant buds. For some crops, as table grapes for example, this determines a significant increase in their overall productivity. 6-7L for every 100L of final solution; apply 60 (± 5) days before bud break (5% of Wool stage). Take into account early bud­break due to possible covering. With ERGER use 16L of ACTIV ERGER for every 100L of final solution (100L of final solution = 6L ERGER + 16L ACTIV ERGER + 78L water). Thoroughly wet the branches (it is advised 400-600L of solution per hectare depending upon the equipment used and plant size). 6L per hectolitre of solution; treat for 50 days (± 5) before the gems rupture (5% of the buds showing their green tips). In one hectolitre of end solution, along with the ERGER, associate 9L of ACTIV ERGER (100L of end solution will comprise 6L of ERGER, 9L of ACTIV ERGER and 85L of water). Wet the branches properly (we recommend that 400-600L of solution be used per hectare depending on the equipment used and the size of the plants). In one hectolitre of endsolution, along with the ERGER, associate 8L of ACTIV ERGER (100L of end solution will comprise 6L of ERGER, 8L of ACTIV ERGER and 86L of water). Wet the branches properly (we recommend that 700-1300L of solution be used per hectare depending on the equipment used and the size of the plants). 5-6L for every 100L of final solution; apply 45 (± 5) days before bud break (5% of green leaf tips visible). With ERGER, use 10kg (8L) of ACTIV ERGER for every 100L of final solution (100L of final solution = 6L ERGER + 8L ACTIV ERGER + 86L water). Thoroughly wet the branches (it is advised 1000-1500L of solution per hectare depending upon the equipment used and plant size). The genus Actinidia is native to China, in particular to the river Yang Tze valley . In Europe the fruit was introduced by the explorer Robert Fortune in 1845, and later in Italy the berry became known as the Kiwi. Actinidia is known to be a dioecious species, comprising perennial individuals with a climbing or prostrate spreading habit, that are deciduous for the most part or are evergreen in high temperature areas. Climate impacts disproportionately on the plant development process by determining its shoot emitting capacity and intensity. In particular, during the winter period, kiwis need a certain amount of cold weather (600-850 hours at temperatures below 7 ° C) in order to allow their gems to get over the dormancy period and to guarantee that they bud regularly. Hence climates where there are frequent falls in temperature are not conducive to steady production, whereas excessively hot climates do not meet the minimum cold weather requirement for the crop. The cherry is a fruit tree belonging to the Rosaceae family and the Prunus species, within which three subgroups can be distinguished: the Prunus Cerasus, or sour cherry, the Prunus aviumor sweet cherry and the Prunus mahalebor flowering cherry. Native to Europe and to some cold mountainous areas of Asia Minor, the cherry does not have any particular temperature requirements and is able to resist even harsh winter temperatures hence its very widespread distribution. Autumn and early winter temperatures must allow bud dormancy to be overcome. Most sweet cherry cultivars need about 1000 hours of cold weather. Subsequently the phase that is more vulnerable to the return of cold is the fruit set stage where temperatures below -1 ° C can damage the young fruits. During flowering temperatures should be between 15 and 25 ° C.
The apple tree belongs to the Rosaceae family , Pomoideae subfamily, and Malus genus. The Malus genus in turn comprises about thirty primary species both fruit and ornamental ones originating mainly from Asia but also from North America, and one from Europe, Malus sylvestris. Apple tree cultivation is one of the most common ones on a world level. The vast number of varieties and rootstocks that can be used allow them to adapt well to a variety of climatic conditions. As regards temperatures, it is important for apple tree growth that they fulfil their need for cold weather (600-900 hours in the cold depending on variety). In this sense the wide range of varieties allows them to be cultivated in the warm temperate areas of Central and Southern Italy. Their resistance to cold winter weather is more than good, up to -20 / – 25 ° C.
Vitis is a genus of the Vitaceae family of shrubs, formerly called Ampelidacee. The best known species of the genus is the Vitis vinifera L., commonly known as the vine and domesticated in its sativaform. It has been cultivated since ancient times in Europe, the Middle East and the Caucasus. Other species, mostly wild ones, of American origin, are: Vitis labrusca; Vitis riparia; Vitis rupestris; Vitis berlandieri (or Vitis cinerea). Vines are woody deciduous perennials that grow in temperate climates. In order to harmoniously fulfil their annual cycle they require an adequate winter period with temperatures of between 0 and 12 ° C. To be most effective they should be between 6-7 ° C, for a total duration of 200 hours. Data collect made March 18 according to the BBCH scale. Timing: Application when 70% chilling hours are fullfiled. YieldOn is a biostimulant able to increase row crops productivity modulating cell metabolism, division, expansion, improving also transport of sugars and nutrients, besides lipid biosynthesis and transport. our expert will answer as soon as possible!